One of my favorite films from SXSW this year was the documentary The Source. It recounts the rise and fall of the Los Angeles commune lead by Father Yod and of course, their Hollywood vegetarian restaurant. 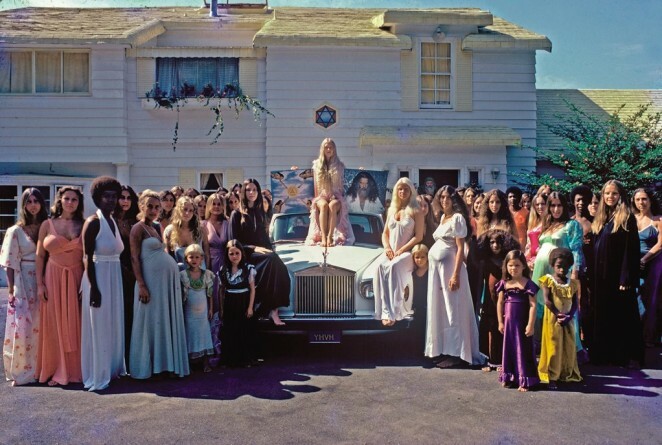 This film had such an impact on me, I think partially because of the outstanding archive of film and photos from the era used in the film, devotedly saved by Isis Aquarian, one of Father Yod’s 13 wives. These images were able to breath life into the stories told by the members of the Aquarian family. The film was also soundtracked by the music recorded by the family back in the 70’s, further transporting the viewer into their world. The other thing that struck me about this film was that years later, many of the members still held Father Yod and their time with the Aquarian family in high esteem. Whereas we’re led to believe that so many communes of the time are horrible, brainwashing cults, The Source allows us to see beyond the stereotypes. Those who came to Father Yod and the The Source restaurant were looking for something, and for many of them, they found the spiritual practice they were seeking. That’s not to say that everything was perfect, which is clearly shown in the heartache of Father Yod’s first wife, as the laws of their life together change during the groups development. I found this film utterly fascinating and was completely drawn into the story of each family member they spoke with. This was one of the films that sparked my thoughts in this post. It was captivating to see the evolution of the group from it’s humble beginnings to it’s dramatic end. If you are in San Francisco, I highly recommend catching a screening of The Source at the San Francisco International Film Festival at the end of April. You can get tickets here. If not, keep your eye out for a screening near you.